As CRM systems become more refined and customized, using omnichannel for a well-rounded customer experience, artificial intelligence (AI) is rapidly emerging as a power-tool to deepen engagements by thinking in the same way that your best customer service representative would if she could be on every request. 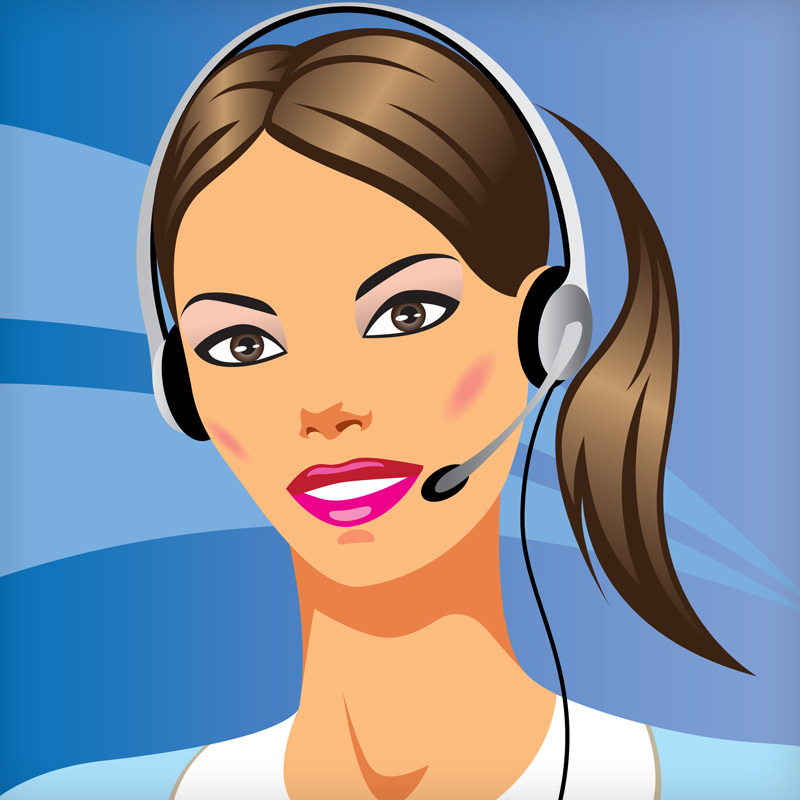 Throwing its hat into the AI game, Sunnyvale, Calif.-based Linc, a provider of retail customer service and retention platforms, announced this week its customized chatbot offering. The chatbots, which are focused on building stronger customer relationships, operate on the Facebook Messenger, WhatsApp, and Apple iMessage platforms and also offer voice assistance through Amazon Alexa, Google Home, and Apple's Siri, along with enhanced email, web, and text capabilities using natural language understanding. Linc CEO Fang Cheng points out that there can be confusion among retailers about the capabilities and scope of voice-activated platforms and chatbots. Many believe they have to build a "chatbot-does-everything" platform, and that isn't the case. In fact, chat bots can be used for limited sets of functions—what she calls "utility uses." "These utility uses of a chatbot are a big win for two reasons. Using a chatbot that offers material value to the customer means more of them opt-in. Getting tracking updates on Messenger is more appealing than a promotion to get 10 percent off your next purchase by opting in. Using the chatbot for tracking, we see an over 10 percent opt-in rate with no promotion and customers don't unsubscribe," Cheng says. "A second value for utility uses of chatbots is that these use-cases directly reduce the load on customer service teams and provide immediate ROI back to the retailer. Compared to marketing use-cases of chatbots, this is a much more appealing starting point." Cheng also points out that retailers don't lose control of their Messenger account when they use a chatbot because a good chatbot knows its boundaries and will hand a customer over to a human agent seamlessly. "A brand can also run more than one chatbot in the future" she says. "So there's no reason to try to boil the ocean with the first one. The platform features pre-built integrations, working with existing ecommerce platforms, email service providers, order management systems, third-party logistics, global carriers, and social management platforms. Partnerships include, Salesforce.com Commerce Cloud, SAP Hybris, Workarea (FMA Weblinc), Pitney Bowes, and Shopify Plus. 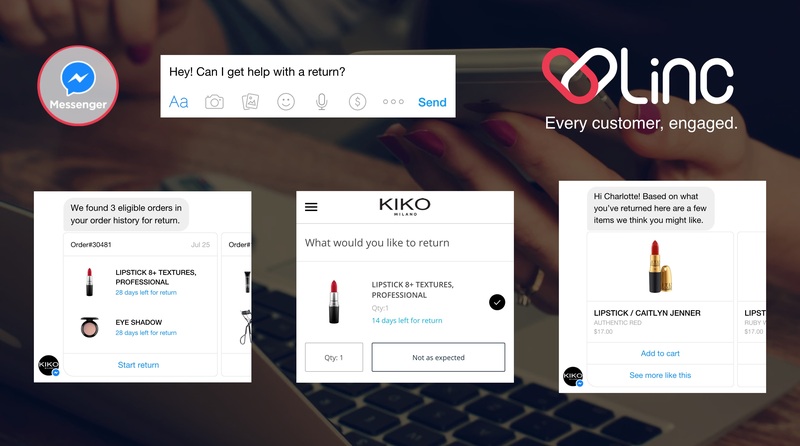 Using its Cortex platform to power chatBots, Linc focuses on customer support specifically in the areas of post-purchase service, support, return conversions, and upsells. Cortex AI machine learning and natural language understanding engages customers not only in traditional and emerging voice mediums but established channels like email, text, and web. As an added benefit, the new chatbot service can quickly deliver ROI from a reduction in call volume alone, according to the company. It said the solution also yields strong conversions from return to exchange to save lost revenue, increases customer satisfaction and loyalty, and contains costs in customer support centers and reverse logistics. Linc's customer base is centered in the lifestyle category and includes clients in the cosmetic and apparel industries, including L'Oreal, Carter's, and Vineyard Vines, as well as entertainment/lifestyle brands like GoPro.